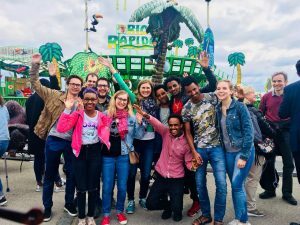 Mentoract is one of the major social project of our club which supports refugees from our funded refugee home (Implerstraße). 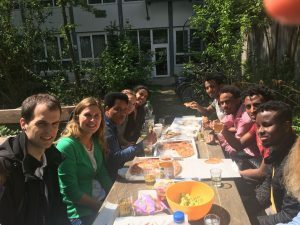 The project started in 2015 and it’s sponsored by our sponsoring clubs and friends: Housing of male refugees, that do an apprenticeship in Munich. The aim of this project is to integrate, support and accompany the refugees. 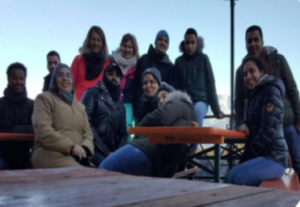 Each of the refugees from Wohnprojekt Implerstraße is either in school or doing an apprenticeship in Munich. We want to support their goals by doing their homework together or by clarifying specific questions they might have. The subjects can vary from language (german or english) to scientific subjects (physics, Maschienenbau etc. ), but you don’t need to be a specialist in order to volunteer!